Easter came a little early this year but we were hopeful it would be spring-like. And because we were thinking spring, it seemed appropriate to make a lemon cake. Very springy, right? Sure is a good thing we chose the bright lemon coloring and tulip because the cake was about the only thing that reminded us it truly is spring! Outside the ground was covered with snow and it was about 20 degrees! After a wonderful Easter dinner, we enjoyed the lemon cake with lemon buttercream and lemon curd between the layers and adoring the tulip on top. As you can see from scrolling down through the home page, I have not posted since Christmas Through Lowell last year. It has been a busy year! Another reason we took a break from work was to move from Wyoming to Rockford temporarily and then permanently to Lowell. So to get back in business and celebrate moving to Lowell we are going to participate in Christmas Through Lowell again this year. Come to the same place – Hilton Treasures (#36) at 3825 Hilton Ave SE. Stop by to grab a delicious cupcake or chocolate treat! We are featuring two of our cupcake flavors – Chocolate Chip Cookie Dough and Chocolate & Mint Lovers – along with a few other yummy chocolate treats. 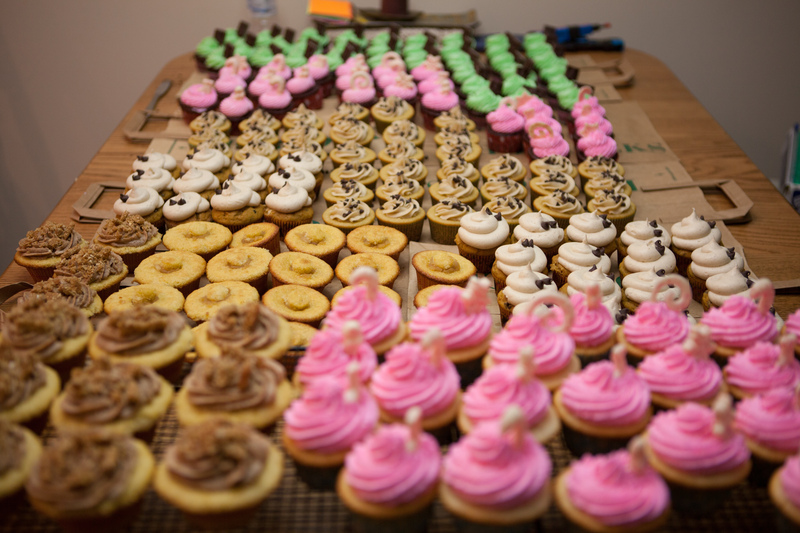 Come on out to Christmas through Lowell – Venue 36 – 3825 Hilton Ave SE in Lowell to try some delicious cupcakes! This coming week Kalee Kreations will be part of Christmas in Lowell at Hilton Treasures (3825 Hilton Ave SE, Lowell). Besides some flavors geared toward the upcoming Christmas season, we wanted to bring in some Thanksgiving flavors as well. What says Thanksgiving more than pumpkin, right? 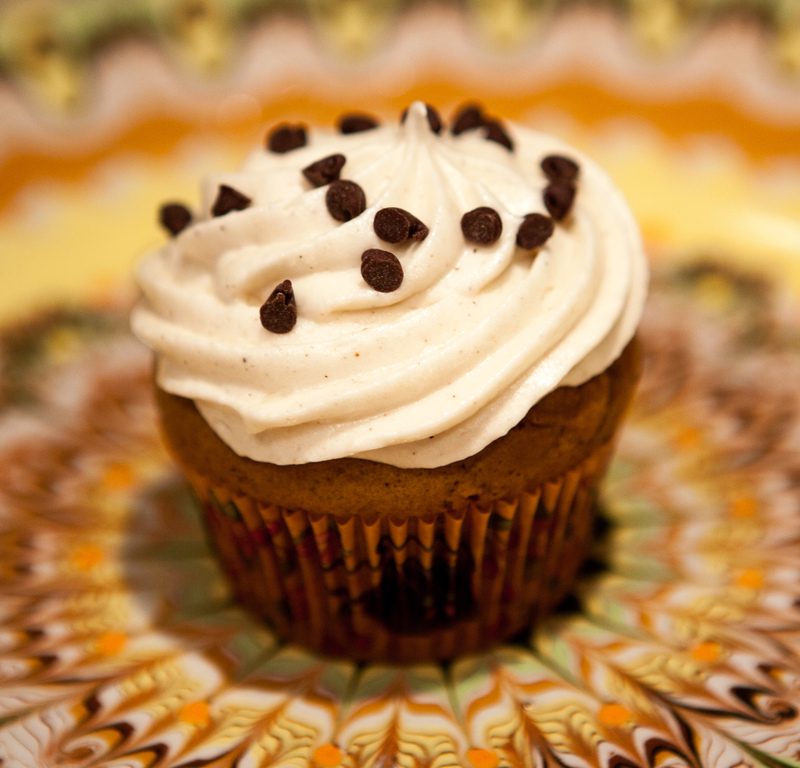 One of our featured flavors will be a a pumpkin pie spiced cupcake with mini chocolate chips, frosted with smooth and creamy cinnamon cream cheese frosting and topped with a few mini chocolate chips for a little extra bit of chocolate. Stop by and see us to try one of these cupcakes or one of our other holiday flavors! After some time away due to health reasons, Kalee Kreations is ready to get back at it and try some new flavors! 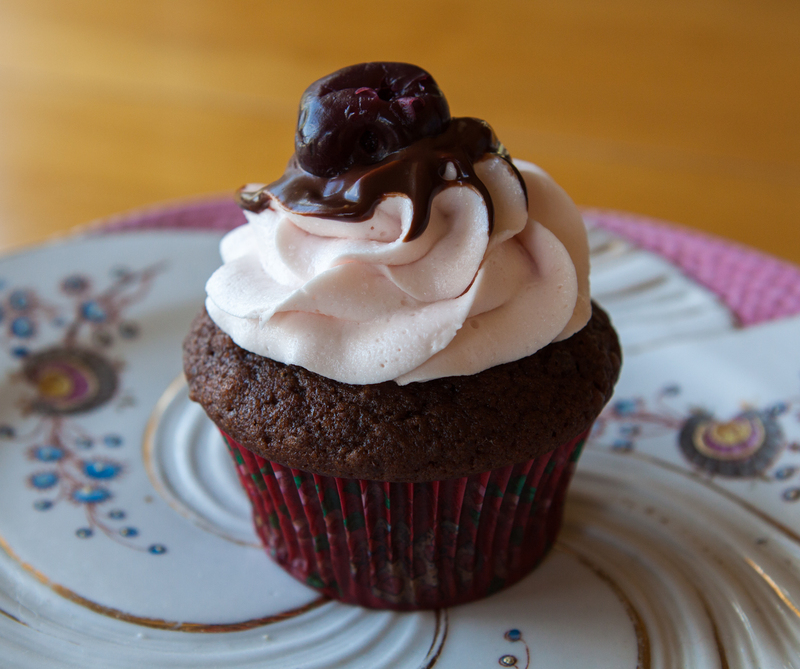 For a recent birthday of a black cherry lover, we made a chocolate cupcake filled with black cherry jam, frosted with buttercream with a hint of black cherry juice, swirled in a chocolate ganache and topped with a whole black cherry. Delicious! 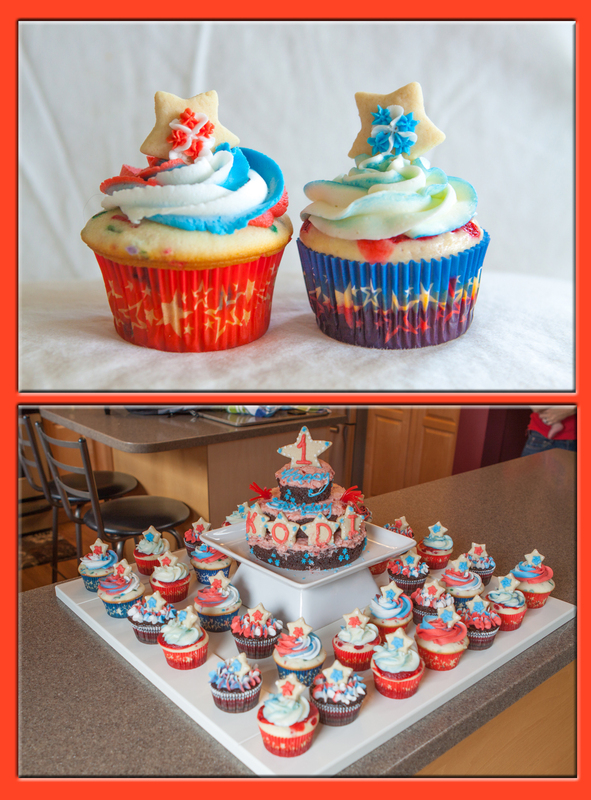 Earlier this month for own July 4th celebration and a cousin’s first birthday party, we made three delightful flavors of cupcakes – the classic Funfetti, Red Velvet Cheesecake and classic Chocolate. It was great fun to decorate with the red, white and blue. The first birthday cake had a few issues in transport but it was still was yummy and messy as it was eaten by the one year old. She had it everywhere! We haven’t been able to bake new flavors in a little while but we’ve been making plans! 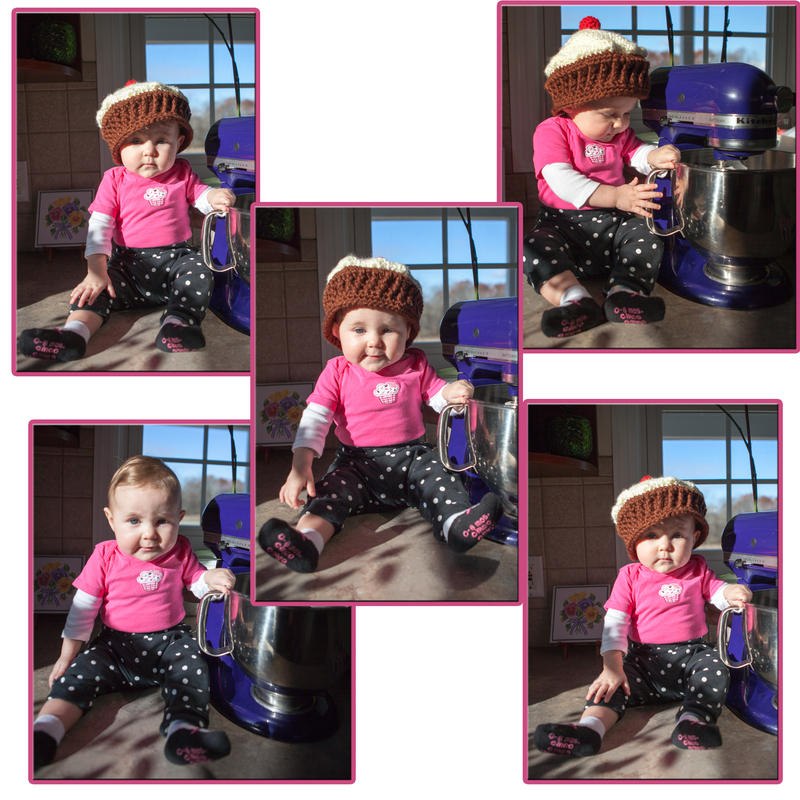 Just a sneak peak into the flavors we will be baking soon…. Check back soon to see which ones make the cut! I can’t believe that it’s been quite this long since I posted! It doesn’t mean that I haven’t been busy trying out new kreations. After a few requests for gluten-free cupcakes, I decided to try one out. After much searching, I decided to try out these chocolate cherry mini cupcakes. Not being a cherry fan myself, mandarin oranges seemed like another good option. Both were extremely chocolaty! Who doesn’t like a Snickerdoodle cookie? Well, I suppose if you don’t like cinnamon, the cookie as well as this cupcake will be lost on you. The bottom layer is like a Snickerdoodle cookie and the top layer is a cinnamon cake. In case there isn’t enough cinnamon already, the frosting is cinnamon buttercream with Cinnamon Toast Crunch decoration. 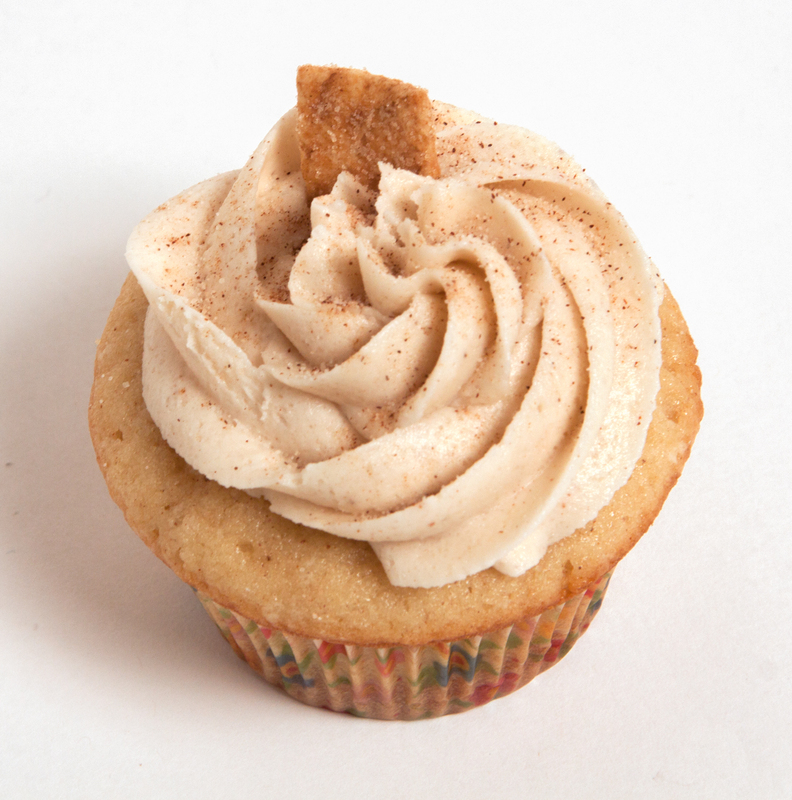 It sounds like a lot of cinnamon but that’s what makes this cupcake truly delicious! 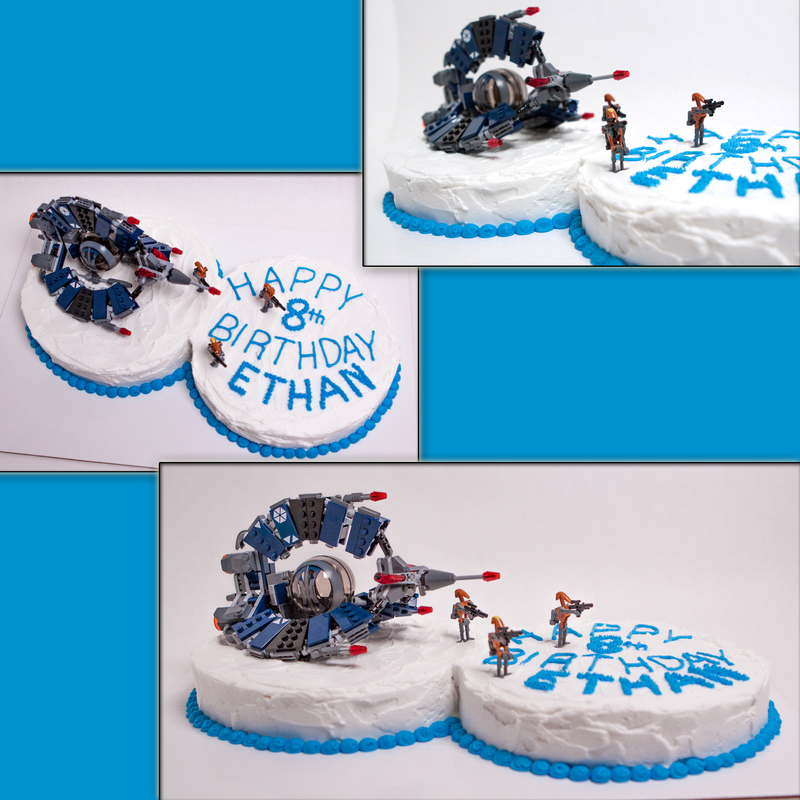 Being a fan of Star Wars and Legos, it was with great excitement that I set to work on this cake. Though it can’t be seen in the pictures, it is a white cake with blue swirls. 🙂 Frost it, write on it, place the Legos and all done! Quick and easy, but lots of fun for the 8-year-old who will receive it.